The mission of the El Paso county Drug Court Treatment Program is to provide a non-adversarial approach to working with substance addicted offenders in need of an alternative to incarceration, while reducing recidivism and crime, improving the community-at-large, educating the offender about quality of life issues, and providing case closure for all interested parties. The 384th Adult Drug Court Program is a partnership between private, non-profit, and public entities united to address the exasperating problem of handling drug-abusing offenders. Historically, jails and prisons are inundated with non-violent drug offenders who are often placed on lengthy waiting lists for treatment or are released back to the community without receiving treatment at all. Consequently these individuals revert back to criminal behavior because their needs are not expediently identified or met in a traditional court setting. 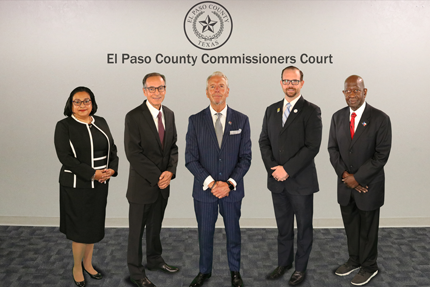 The El Paso Drug Court emerged as a response to this problem by providing a nonadversarial approach to assisting the offender in abstaining from drugs and crime and ultimately reducing the recidivism rate among those served through the program. 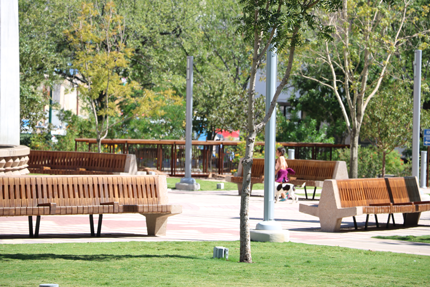 El Paso is the sixth largest County in the state of Texas with a population of 679,622 (U.S. Census Bureau 2000). The County's close proximity to the Mexican border and easy access to Interstates 10 and 25 has earned El Paso the label of being a high -intensity drug trafficking area making drugs accessible to area drug users (Substance Abuse and Mental Health Services Administration Survey 1999). The Drug Court movement that began in Miami in 1989 has swept through all fifty states and is viewed as a promising method of rehabilitating offenders and an alternative to incarceration. The Office of National Drug Control Policy is reporting abstinence rates of 84%-98% for drug court program Clients and a recidivism rate of 2% - 20% for drug court graduates (ONDCP 2001). If an El Paso Criminal Drug Court can replicate these results we may have a fighting chance at impacting the lives of the people served through the program as well as the community of El Paso at large. The first Drug Court was implemented in Miami, Florida in 1989 to alleviate the flooding of non-violent, cocaine-addicted offenders in courtrooms and jails. The courts were overwhelmed and quickly became revolving doors for addicts who were repeatedly rearrested for new drug-related crimes. This program was a promising approach to break the cycle by "reserving" jail and prison beds for dangerous offenders while sending criminally involved addicts to treatment. After experiencing the exacerbation of addicts in the court system, other communities began experimenting with an approach to low-level drug offenses that brought significant change to the way the court system does business. This new approach integrated substance abuse treatment, sanctions, and incentives with case processing to place nonviolent drug-involved defendants in judicially supervised habilitation programs. The traditional system had rarely provided substance abuse treatment to defendants in any systematic way, and, in many cases, provided little or no threat of sanctions to drug offenders. The new approach, a significant departure from traditional court practice, was not always widely supported by members of the judiciary, prosecutors, and the defense bar. Gradually, however, judges, prosecutors, and other representatives of the justice system across the country, who were struggling with similar issues involving drug offenders, began to examine the Drug Court approach to assess whether replication (or adaptation) might offer them a better response to drug cases. In enacting the 1994 Crime Act, Congress joined local communities in acknowledging the promise of Drug Courts in habilitating offenders, holding offenders accountable for their actions, and reducing victimization by providing early intervention to placing offenders in treatment. Congress authorized the Attorney General to make grants to States, State courts, local courts, units of local government, and Indian tribal governments to establish drug courts. The authority has been delegated to the Assistant Attorney General, Office of Justice Programs (OJP). The OJP Drug Courts Program Office (DCPO) was established to administer the Drug Court Grant Program and to provide financial and technical assistance, training, related programmatic guidance, and leadership. Since 1989, more than 500 courts have been implemented or are planning a Drug Court to address the problem of substance abuse and crime. Local coalitions of judges, prosecutors, attorneys, treatment professionals, law enforcement officials, and others are using the coercive power of the court to force abstinence and alter behavior with a combination of escalating sanctions, mandatory drug testing, treatment, and strong aftercare programs to teach responsibility and to help offenders reenter the community. Drug Courts are one of a few recent criminal justice initiatives that have started at the grassroots level and spread across the Nation.